"We realized that it was a good time to refresh our visual identity to keep us aligned across all of our sites," explains Donnie Roberts, Senior Director of Development & Communications at Callen-Lorde. Since its inception almost 50 years ago, LGBTQ healthcare provider Callen-Lorde has evolved into a world leader in providing sensitive quality healthcare to gay, lesbian, trans, and queer people and people living with HIV and AIDS regardless of income and without judgment. As the provider prepares to expand to a fourth NYC location in Brooklyn, they've done a visual overhaul of their brand identity, with new imagery by Mother Design. "As we transition into a network of health centers, we realized that it was a good time to refresh our visual identity to keep us aligned across all of our sites," explains Donnie Roberts, Senior Director of Development & Communications at Callen-Lorde. 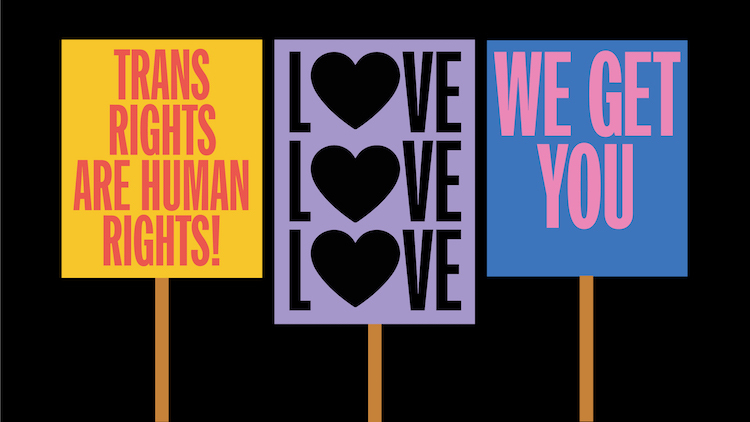 The Taproot Foundation and Mother Design both came on board to bring a "full visual overhaul that pays homage to our activist roots, and is inspired by the struggles of the AIDS crisis and our fights for civil rights." Callen-Lorde has evolved from a volunteer-based organization into a service working in tandem with healthcare infrastructure—in the past decades it has grown into a brand that can accept health insurance and compete for government grants. The designer of the old logo, Richard Haymes, has also served as the organization’s deputy executive director. Haymes designed "knowing that we would be competing with established health clinics and hospital medical centers vying for very little government funding," Roberts explains to us. 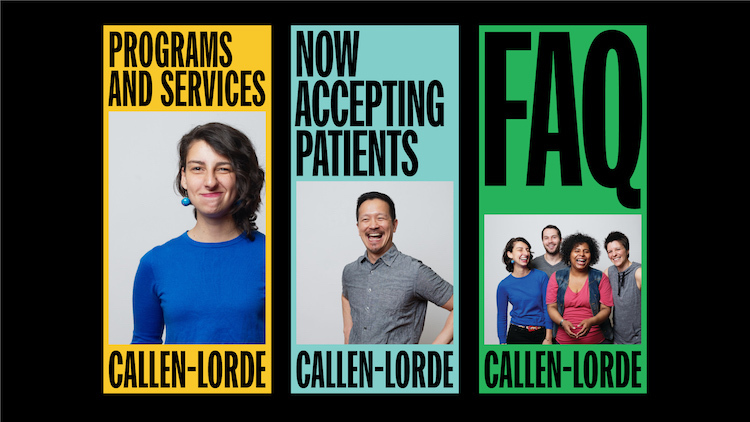 Callen-Lorde has been and remains a crucial resource for the LGBTQ community, offering a sliding scale co-pay for uninsured patients that can cost as little as $20 a visit. Services include providing assistance to women seeking medical help, trans people seeking medical assistance in regards to hormones and hospital visits, and those seeking STD testing or prescriptions for STD-related medication. There are also mental health facilities, dental services, pharmaceuticals, and much more—prospective patients can learn more here. 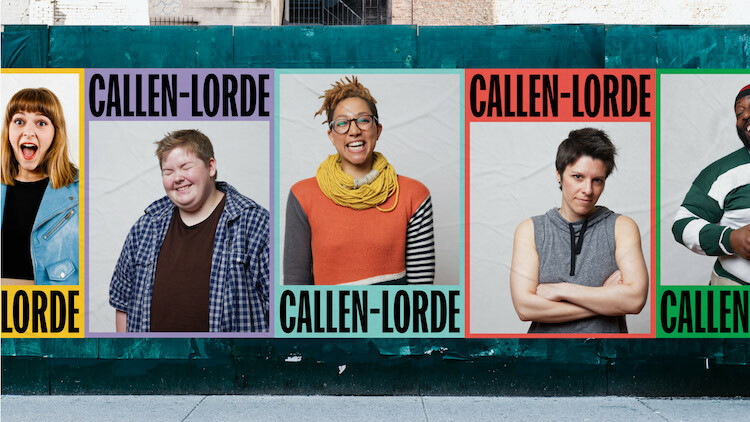 "Since our inception Callen-Lorde has pioneered models of care for LGBTQ communities," Roberts concludes, "and our new visual identity will help us come out of the shadows rather than fly under the radar."